Recently I joined Craftsy, which is an online community for people who love to create things. They offer classes in knitting, quilting, cake decorating, and more; some of them are free and others you have to pay for. The classes are web-streamed videos, so you can access them from anywhere with your login information. And once you "enroll" in a class the videos will not expire and will always be in your library. Hooray! 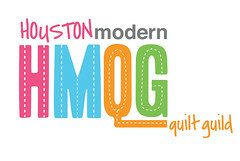 Right now, I am currently enrolled in two of their block of the month quilting classes (both free) and I am really excited about the projects. With how busy I am with everyday happenings, it is nice to be able to sit down in the evening and work on a simple project that allows me to learn along the way. I love learning :) I used to joke that I would be a career student if we could afford it. The Block of the Month for January 2013 is an offset log cabin block, and I like how mine turned out. They're slightly wonky and not quite 6.5" square, but I am still really excited about the project overall. I'm using white for the background fabric, and different scraps of polka-dot fabrics from my stash for the main fabric pieces. I'm really excited to see how all the different blocks come together over the next year! For the 2012 Block of the month club January had two blocks, an asterisk and a wonky hash-tag. These were really fun to make because I used white for the background, and novelty fabric for the main fabric. 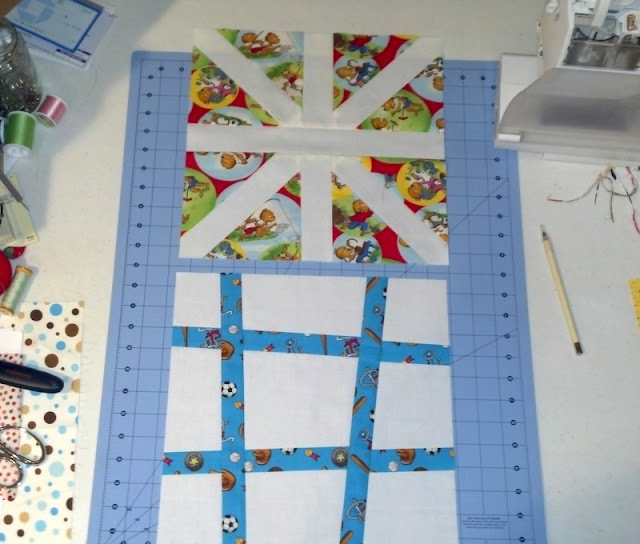 I used leftover Berenstain Bears fabric from William's quilt for the January blocks, and I plan on using Batman, farm animal, and Disney fabric for some of the other months :) This quilt will definitely end up being William's. I definitely recommend checking out Craftsy and seeing what they have to offer. It is free to join (I signed up through my Facebook profile) so you really don't have anything to lose. 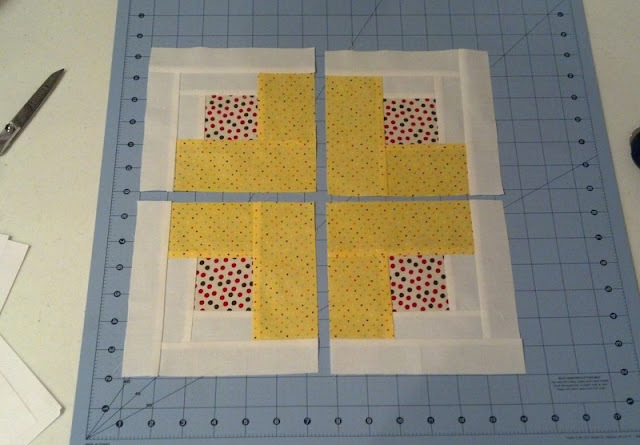 I'll be back next month to show off my completed February blocks for both classes. Disclaimer: This is not a sponsored post. I just really enjoy the things Craftsy offers.